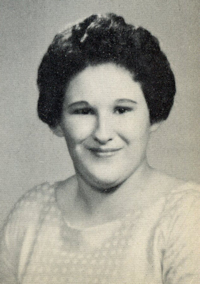 Obituary – Weatherly, Donna Jean (Hansing) « Perry High School Alumni Association, Inc.
Donna Jean Weatherly, 69, of Ozark, Arkansas, died, Monday, July 22, 2013 in Fort Smith, Arkansas. She was born November 28, 1943 in Shidler, Oklahoma to Harry “Buster” and Mavis Johnston Hansing. She was of the Presbyterian Faith, a very proud grandmother and always ready to talk about and show off pictures of her grandson. She and Harold owned Weatherly’s Jewelry for thirty seven years before retiring in 2007. She was preceded in death by her parents and a brother, Richard Hansing. Funeral service will be held at 10:00 AM, Friday, July 26, 2013 at Shaffer Funeral Home Chapel with Reverend Ellis Robinson officiating with burial at Highland Cemetery in Ozark, under the direction of Shaffer Funeral Home. She is survived by her husband, Harold Weatherly of Ozark; one daughter, Amy Lynn Connelly and husband, Jeremy of Ozark; one brother, Keith Hansing and one grandson, Kanyon Jay Matthew Connelly of Ozark.